Inland Revenue’s position is that gains on cryptocurrency are taxable if they were acquired for the purpose of disposal (selling or exchanging). Furthermore, their default position is that cryptocurrency is acquired for the purpose of disposal. The article below looks at a potential activity where cryptocurrency is not acquired for disposal and therefore any increase in the value of the cryptocurrency may be of a tax-free capital nature. We also outline potential risks to be aware of. We have been expecting further IRD guidelines on cryptocurrency, covering these examples. We’re aware that IRD are currently undergoing a significant IT upgrade and are considering many proposals from the tax working group (TWG), consuming a large portion of their internal resources. If cryptocurrency is acquired for the purposes of earning a reward, the cryptocurrency may be held on capital account. This is a similar tax principle to acquiring a share of a company, for the purpose of earning a dividend. If shares are later disposed of, any increase or decrease in the share value is normally considered to be tax-free. The dividend is taxable income. Historically, the same tax principle applies to rental properties; where a house is acquired for the purpose of earning rental income. The increase in the value of the house is tax-free capital gain, and the rental income is taxable. The bright-line test has now created some modifications to this principle. In both examples above, the purpose of acquiring the cryptocurrency has not been to dispose of, but to earn a reward. If NEO’s value went from $15 to $1,500 per coin, the increase in the value may be tax-free. Likewise, if DASH went from $210 to $2,000 per coin, the increase in the value may be tax-free, because it was acquired for the purpose of earning rewards from the master node. It is not sufficient to document your intention and then change your intended activity. For example, if you purchase NEO with the intention to earn GAS (capital nature), but then notice NEO price increasing and you trade it; then your activity has been different from your intention. Our discussions with IRD suggest that if a capital position is taken, NEO would be held in a NEO wallet where the rewards are received. How long do I need to hold it for? What if I have an emergency and need to sell it? What if I start accumulating coins to hold a master node, but never actually get to the point of creating the masternode and dispose of them? All the factors need to be considered as a collective whole of the taxpayers’ activity. There is no one size fits all approach. John has purchased 5,000 NEO because he wants to receive a reward. It is the only coin in his cryptocurrency portfolio. He holds it in a wallet for 18 months receiving GAS rewards. He has declared his GAS rewards as taxable income in his tax returns. After 18 months, John decides to sell his NEO to buy a house. The price of NEO has increased significantly during this time. In this situation, we believe there is evidence to support a tax-free capital position for his NEO. Mary has purchased 5,000 NEO and has a wider trading portfolio. She swing trades, often holding different cryptocurrency’s for varying lengths of time and sells when the price increases. She holds her NEO part in wallets, part on exchanges, occasionally receiving GAS rewards. After 18 months, Mary decides to sell her NEO now the price has increased. It is likely that the increase in the value of her NEO will be taxable as although she has received GAS, her intention was to ultimate dispose and realise gains. If an increase in the value of a capital asset is not taxable, then any decrease in value is not tax-deductible. If you are unsure if your cryptocurrency is going to hold its value or if it has the potential to be wiped out (we do get asked this ‘worst case’ position frequently), holding cryptocurrency on revenue account (taxable gains, and tax-deductible losses), may hedge against this risk. Tax influences people’s behaviour. We recommend that the tax considerations only be considered in conjunction with an individual’s wider decision-making progress. Some investors are very negative about paying tax and fixated on tax-free gains. They would often be better off making more profit and paying tax. If the labour government is re-elected, it is highly likely there will be some form of CGT. This would most likely be introduced from 1 April 2021. Unlike other OECD countries, early tax working group documents suggest the tax rate would be at marginal income tax rates (i.e., 33% for income above $70k pa compared to a flat 15% rate). It also suggests a valuation would occur on 1 April 2021 and apply on all assets owned at that point in time (compared to Australia, where there are is still property being sold now outside the capital gains net because it was acquired pre-introduction of CGT). CGT will likely result in all increases in non-personal property being taxed. For cryptocurrency, this means that gains would be taxable income, even if it meets the ‘capital’ standard outlined above. Book a no obligation chat with Tim Doyle today to discuss if this is appropriate for you. 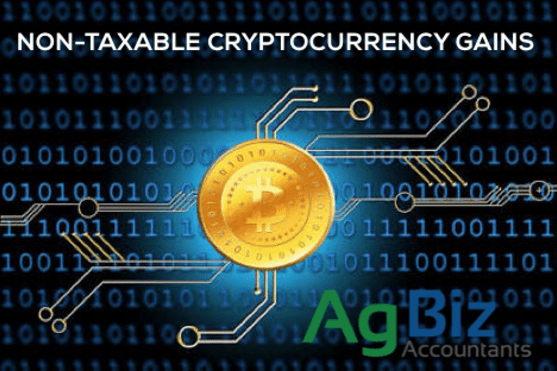 Or feel free to email tim@agbizaccountants.co.nz to discuss any other cryptocurrency tax related matters. Great article Victoria, we can wholeheartedly recommend Tim as well, we reckon he’s NZ’s best expert in this stuff! Thanks 🙂 Tim is definitely the best in the country. Also, thanks for sharing your knowledge of GST, much appreciated.